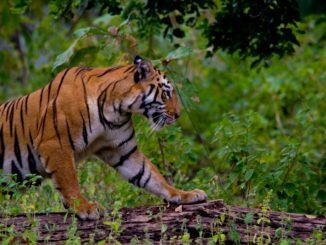 Named after the pristine Pench River, Pench Tiger Reserve is located in Chhindwara and Seoni districts of Madhya Pradesh which border on the state of Maharashtra. The Pench river flows right through the middle of the reserve. It descends from north to south, thereby dividing the reserve into equal eastern and western parts. 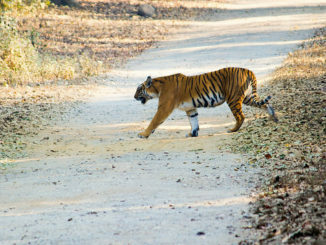 The place is also popularly known as Pench National Park since the identity of a tiger reserve was granted to it later. Pench Tiger Reserve is the joint pride of both Madhya Pradesh and Maharashtra. It’s unique location makes it accessible from both states, as entry gates open into each of the two. Over the years, it has gathered much fame for rafting. It was also bestowed with the ‘Best Management Award’ in 2011. It is easily accessible from National Highway 7. Turiya, Silari and Karmajhiri are major entry gates from the total of 11 gates out of which 5 are in Madhya Pradesh and 6 in Maharashtra. 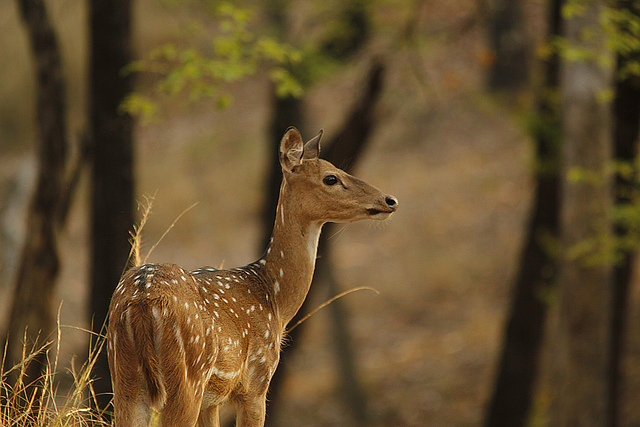 Pench National Park was created as a wildlife sanctuary in 1977. Soon after in 1983, its status was elevated to that of a National Park. 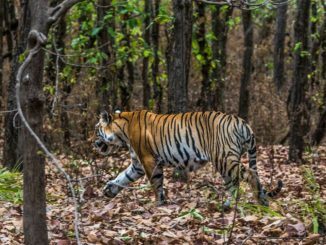 The year 1992 brought to Pench the official identity of a Tiger Reserve. The Pench Tiger Reserve covers a total area of 758 sq. km. Out of this, 292.85 sq. km of Pench National Park for the core zone of the reserve. A buffer zone comprising of Reserve Forests, revenue lands and Protected Forests sprawl in 346.73 sq. km. 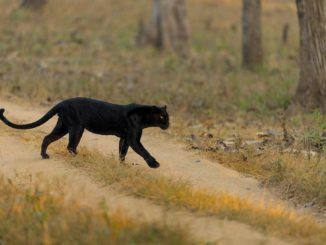 The Mowgli Pench Wildlife Sanctuary that spreads over 118.30 sq. km is also a part of the Pench Tiger reserve. Pench has had a remarkable representation in narrative art. One of the medieval proto-types of a constitution, the Ain-i-Akbari, weaves a detailed description of the magnificent gift of nature that Pench has. The document was written in 16th century by Abul-Fazl ibn Mubarak. It draws upon details of Akbar’s empire and his style of administration. 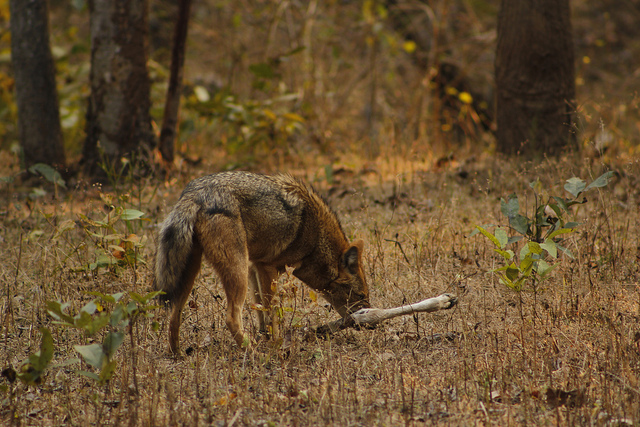 Pench is part of the natural bounty that inspired Rudyard Kipling to compose his magnum opus ‘The Jungle Book’. 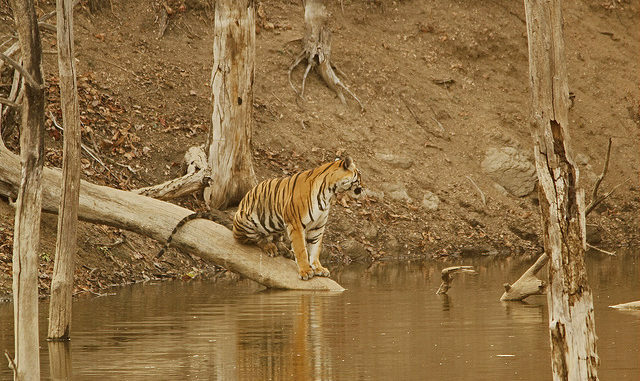 The three part documentary titled ‘Spy in the Jungle’ from BBC was filmed in Pench. 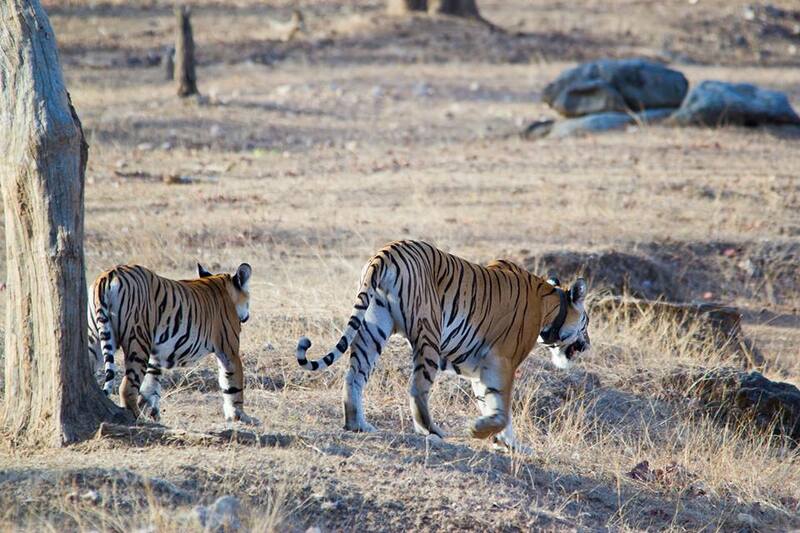 This was a tiger special series that followed the growing days of four Pench tigers. 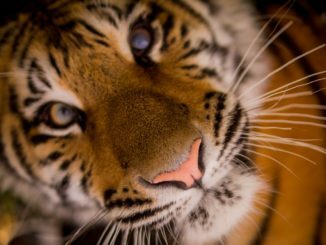 The BBC crew used concealed cameras, planted by trained elephants, to capture intimate tiger behavior. 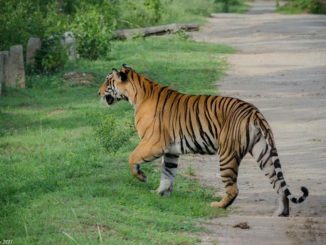 Pench tiger reserve functions as a protective home not only for the big striped cats but a large variety of other species. 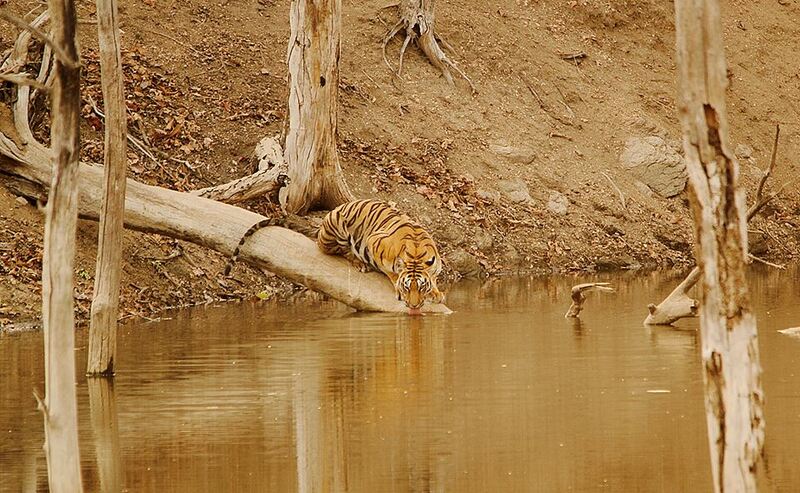 Undoubtedly the most dominant predatory variety is of the Royal Bengal Tiger. Leopards, hyenas, jungle cats are some other animals of predatory instincts. 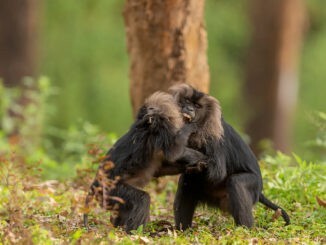 Their prey base in the park includes chital, langur, wild boar, sambhar, gaur etc. 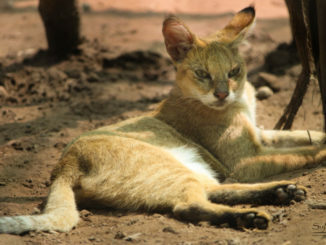 Mammals: 39 mammal species dwell in the park. 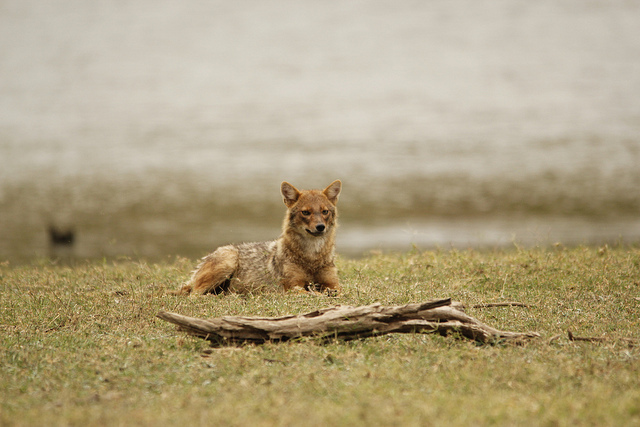 These include – sloth bear, jackal, nilgai, wild dog, porcupine, four horned antelope and others. Reptiles: 13 varities of reptiles and 3 different amphibian species live in and around the aquatic ecosystem. Birds: As per estimate of wildlife authorities, avifauna diversity stands at a remarkable 210 varities including the migratory citizens of Pench sky. This comprises of peafowl, magpie robin, pintail, drongo, unia, myna etc. Flora: The green cover is thickly spread throughout the reserve. A mixture of Southern dry broadleaf teak forests and tropical mixed deciduous forests is present. Shrubs, climbers and trees are also frequently present. Some of them are unique varieties and possess medicinal as well as healing properties. Bamboo plantations are also present nearby the water banks. Jungle safari is hands-down the best way to explore the nook and corners of any protected area. Pench tiger reserve is no exception. The safari services available here are one of the best in the country and give you a worthwhile experience. The entry and exit timings vary according to the season. The park remains shut for visitors during the rainy season that usually falls between July-October. 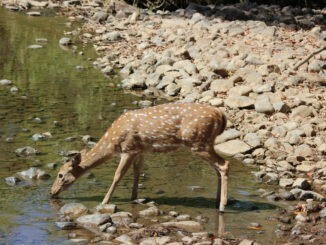 There are various safari options available in Pench National park. You can hitch hike an elephant ride or or drive through the jungle trails in an open jeep. Bird excursions and walking safaris are also available options. Consider your stamina well before embarking on a walking safari since it would be a 12 km long but adventurous journey. As Pench National Park lies in both Maharashtra and Madhya Pradesh, Both the state government websites offers Pench Safari Booking form the gates which are present in the respective state. You can book Pench Safari for the gates available in Maharashtra from the mahaecotourism website. These sites are a visual treat and dreamy locations for the photographers. Sloping hills, clear transparent water flowing across rocks, bamboo forests standing close to a pond, beautiful flowering plants amidst lush greenery and herds of wild animals in their live action. You cannot be anything but captivated and charmed by the beauty of them. By Air: Nagpur airport is the nearest landmark for air travel. It is 88 km away from the park. You can also land at the Jabalpur airport which stands around 200 km away. By Rail: The nearest railhead is Nagpur. This is a major railway station and so, connected to all main cities through the country’s wide reaching railway network. 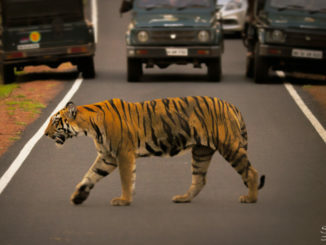 By Road: You can easily reach Pench Tiger Reserve from Nagpur by driving along the National Highway 7. It maneuvers through Seoni.